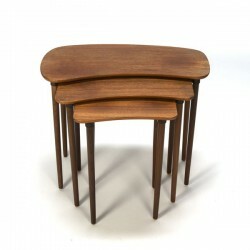 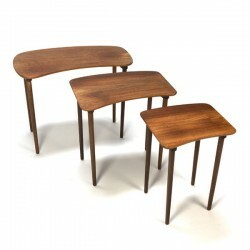 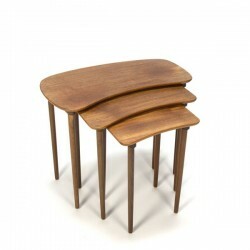 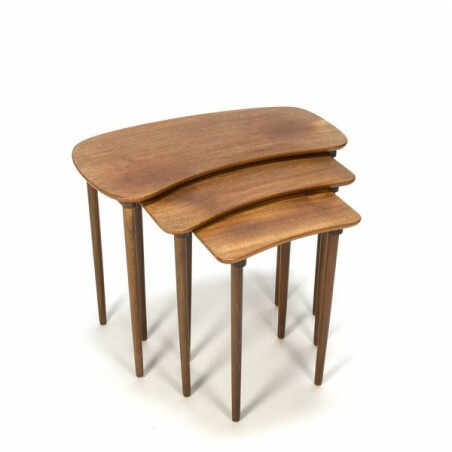 Vintage set of 3 nest tables made ​​in teak. 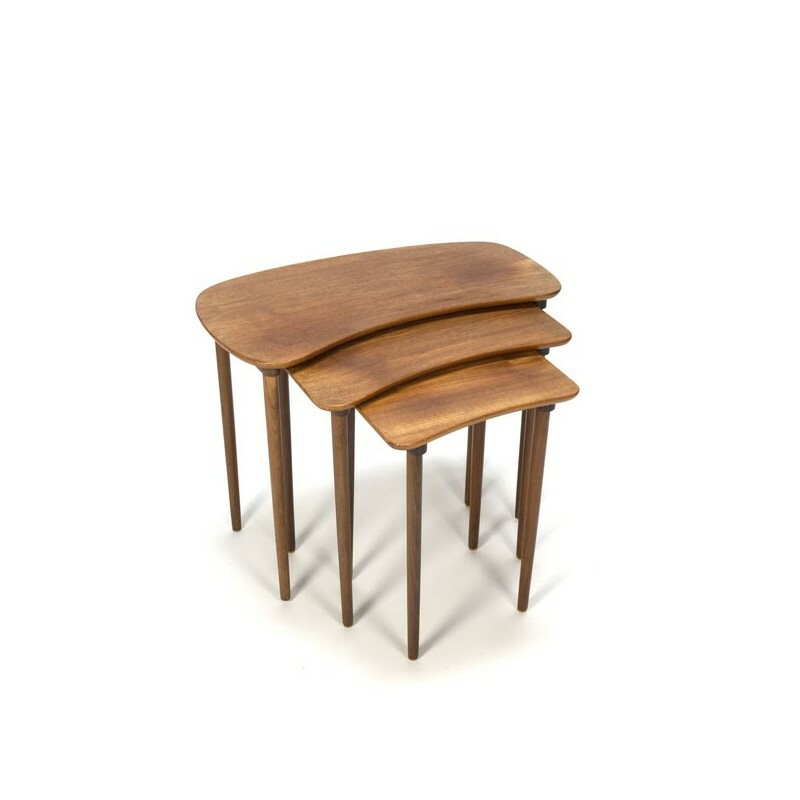 The tables have their own organic form. 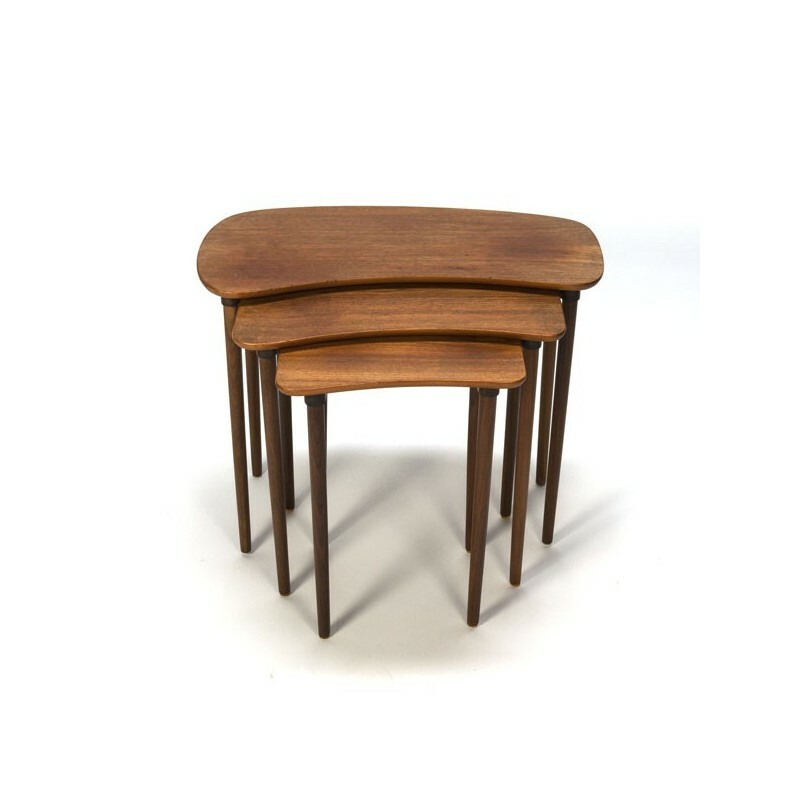 The condition is reasonable, the teak wood is a little spotty, see detailed pictures. 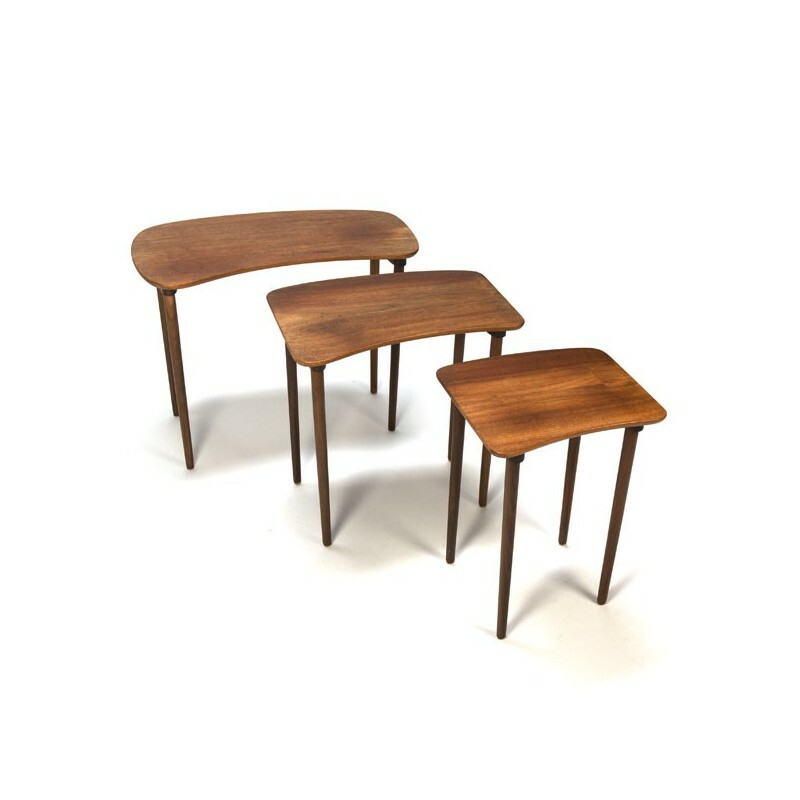 The size is from big to small: 62.5 cm L / 35 cm W / 48.5 cm H - 47 cm L / 46.5 cm H - 34.5 cm L / 44.5 cm H.